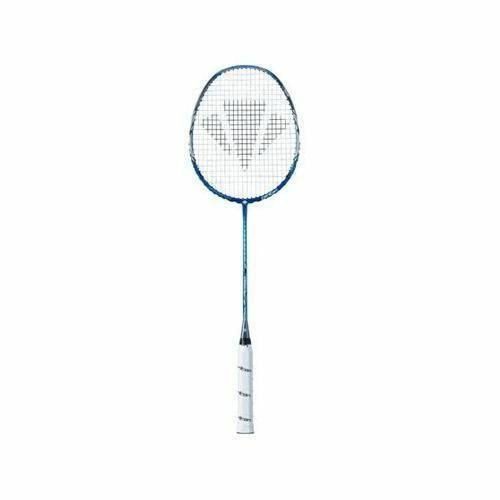 The Carlton Air Rage ST Badminton Racket is the second frame in the new Air Rage range, and is designed to suit an all round player who offers a blend of attack and defence. The even balance point, even weight and flexible shaft offers you the combination of touch and feel for the key drop shot play, and a flexible responsive shaft for added whip and power. Using a range of the very latest technologies, the key difference in this racket is a flexible shaft on a very even balance, feel and control frame to offer you a common requirement, the best of both worlds at a reasonable price. With this Carlton Air Rage ST Badminton Racket that is exactly what you get! for submitting product review about Carlton Air Rage ST Badminton Racket.